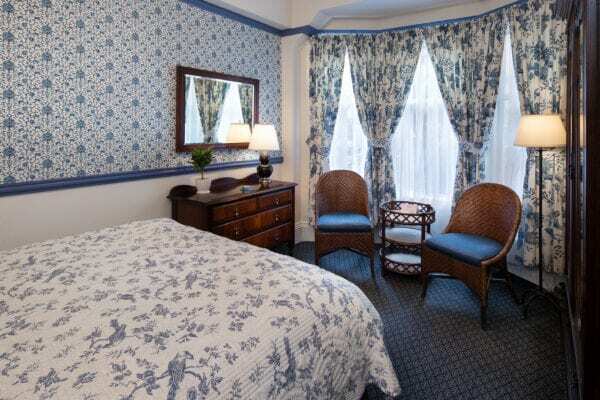 Welcome to the Golden Gate Hotel! 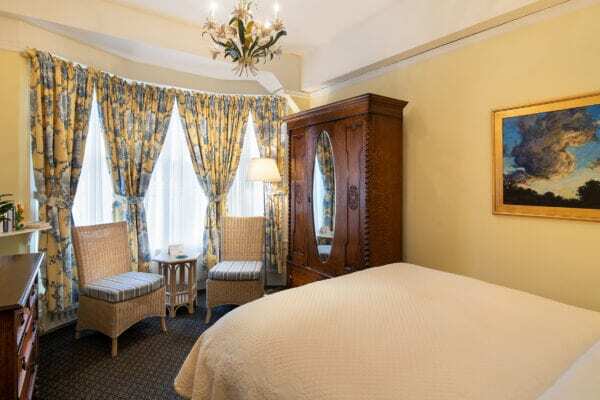 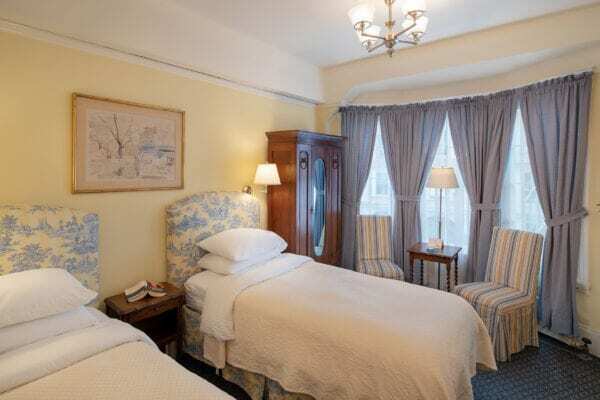 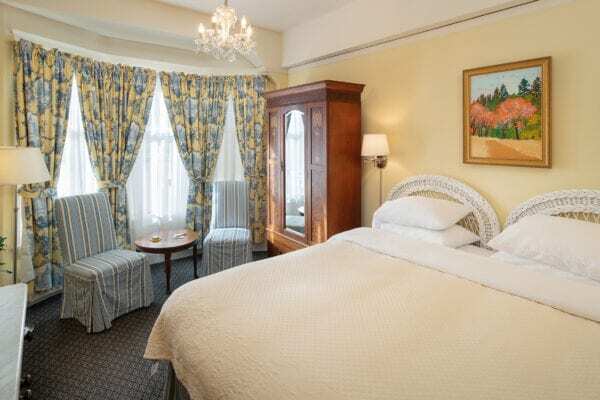 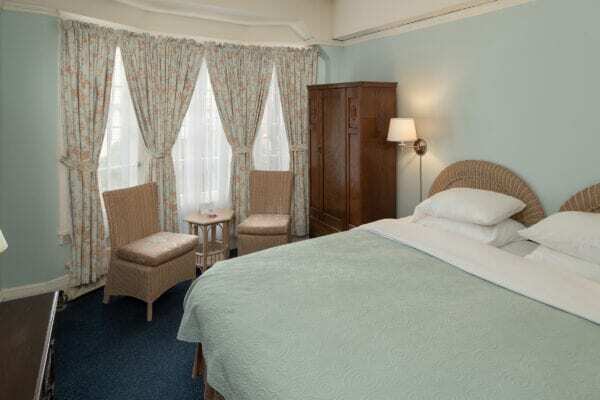 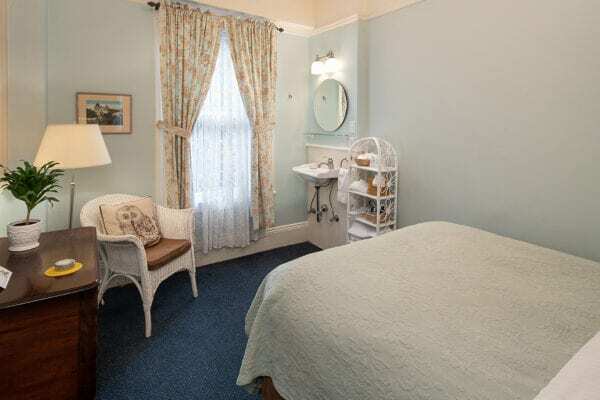 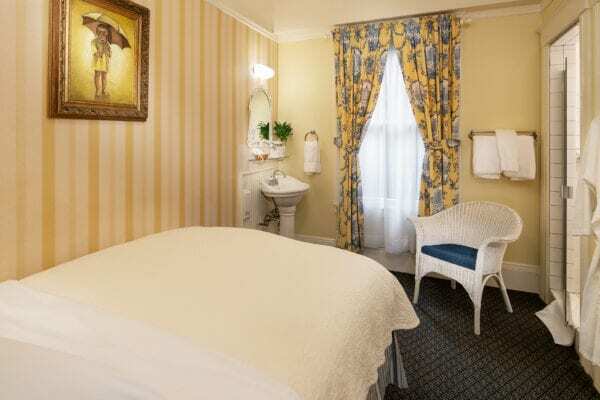 Our San Francisco hotel just north of Union Square is a charming vintage European style hotel in the heart of the city that draws in local and international travelers. 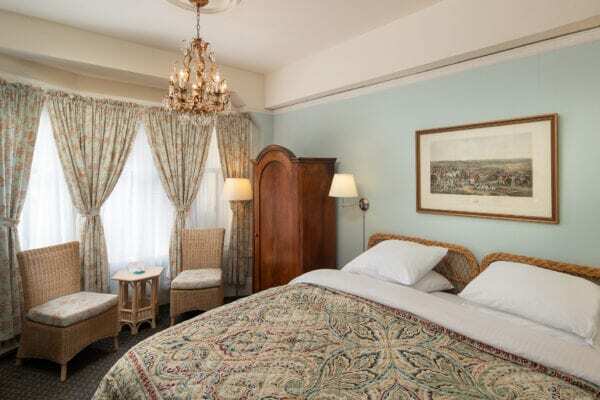 Enjoy old-world charm accentuated with exceptional features such as our unique vintage bird-cage elevator and beautiful antique furnishings. 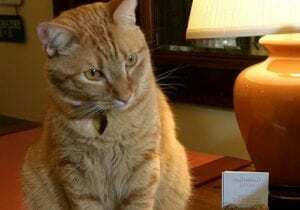 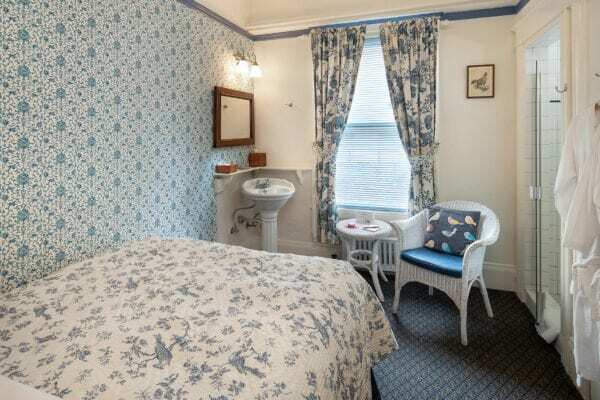 Guests who stay with us feel immediately welcomed by our friendly atmosphere and of course our adorable house cat, Pip. 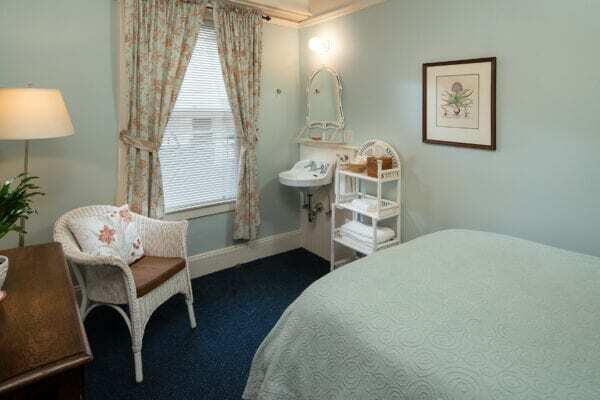 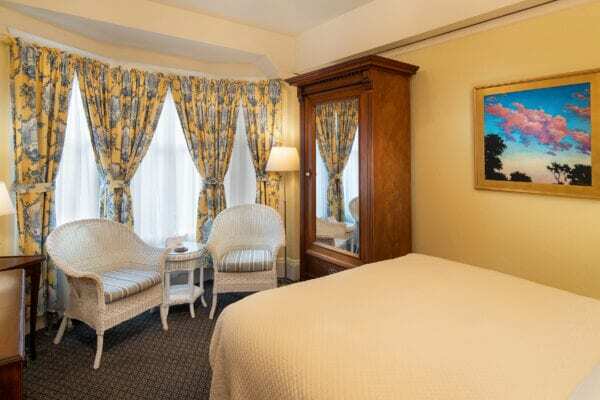 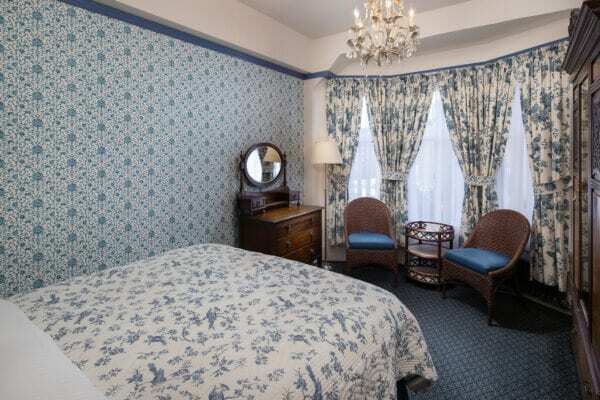 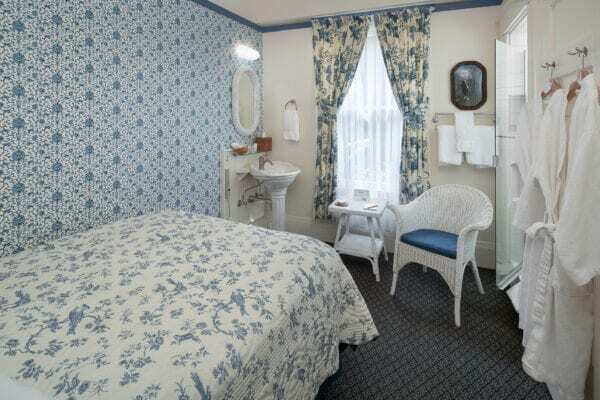 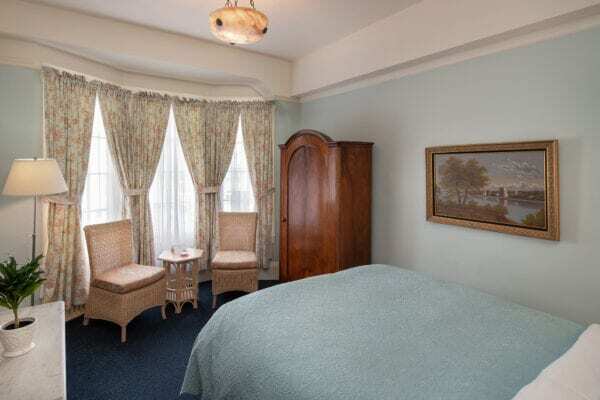 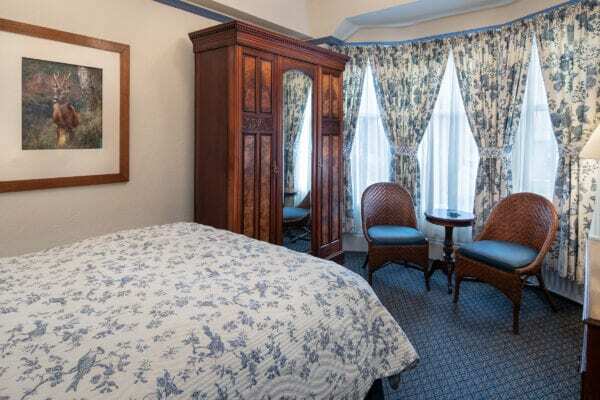 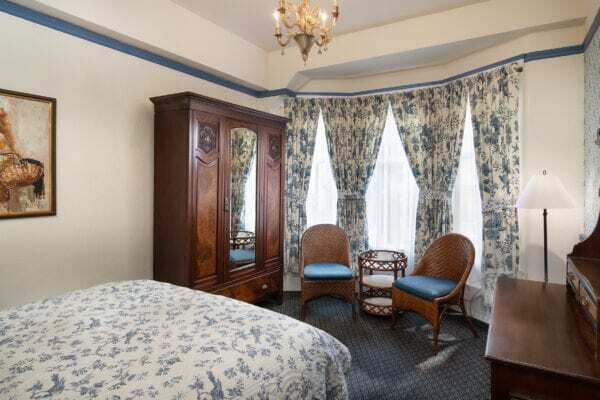 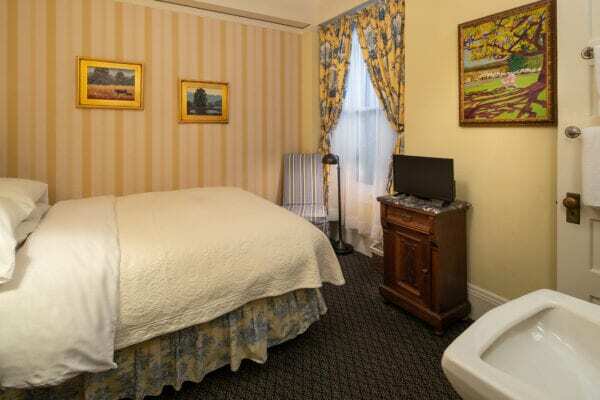 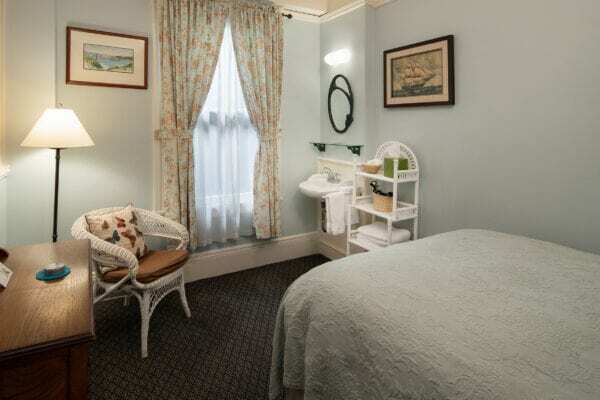 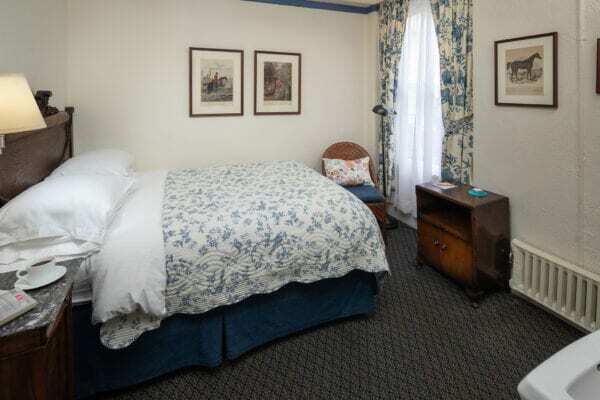 Our rooms are delightfully dressed with antiques, decorative artwork, and original details like claw-foot tubs are just a few details that make staying at the Golden Gate Hotel an unforgettable experience! 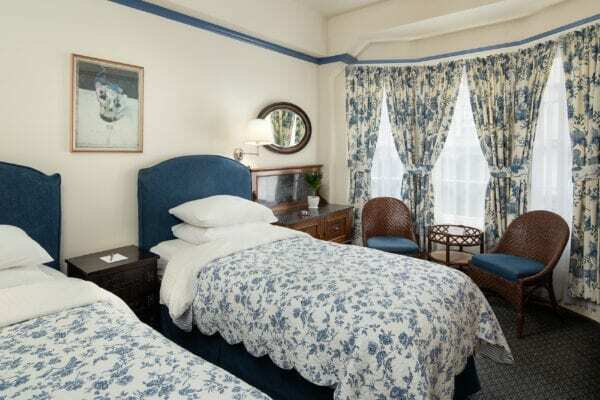 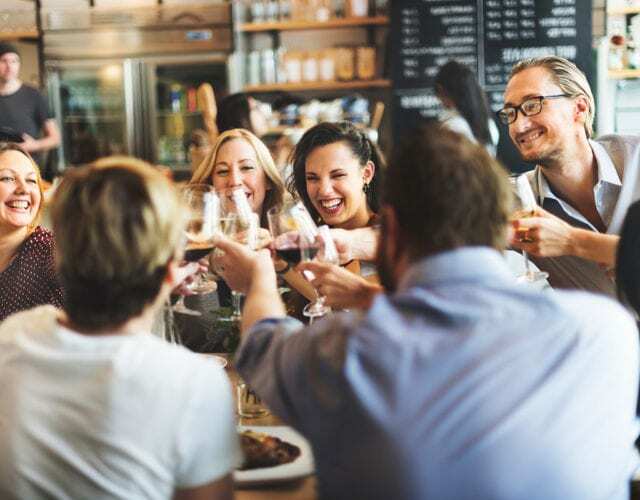 Perfectly situated in the heart of San Francisco, the Golden Gate Hotel is centrally located up the hill from Union Square, between Nob Hill and just a few blocks from Chinatown. 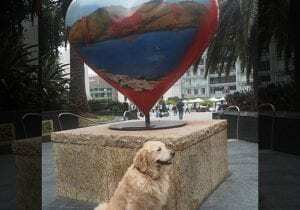 We are steps away from the Powell/Mason and Powell/Hyde cable-car stop. 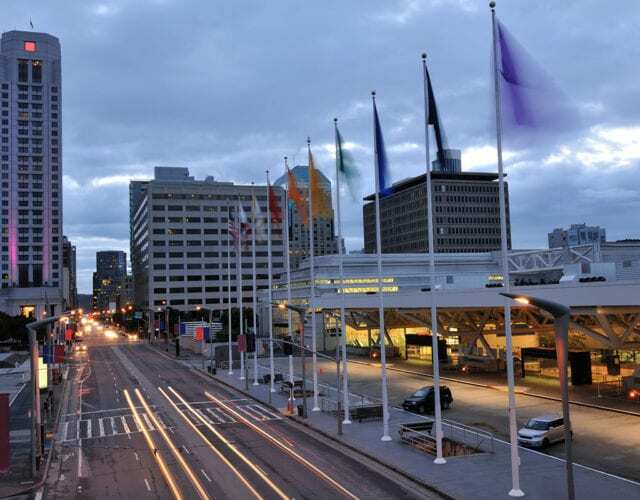 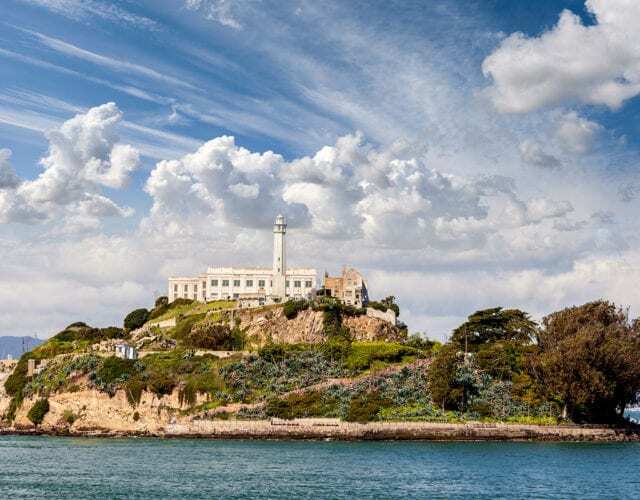 Discover more about our location and start exploring all that San Francisco has to offer. 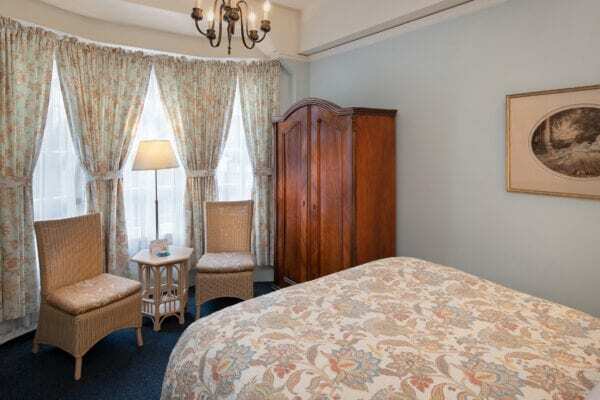 Browse our accommodations and start planning your vacation to San Francisco today! 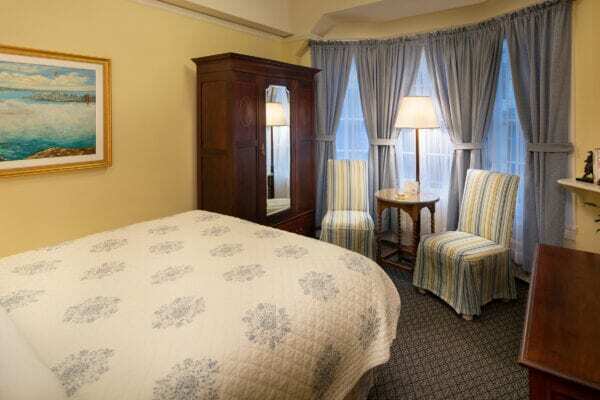 It is worth coming to San Francisco just to spend a few days in the warm atmosphere of The Golden Gate Hotel. 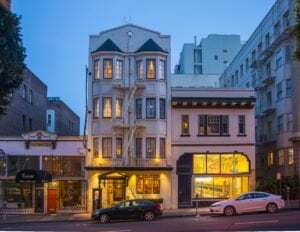 A few blocks from Chinatown’s multilingual bustle, up the hill from Union Square’s tony shops and just steps from the Powell/Mason & Powell/Hyde cable-car stop is this vintage European style haven that has become internationally acclaimed as a favorite destination and staging point for both local and over-seas tourists as well as experienced business travelers.